In correspondence with ABC Consumer and Audience Affairs regarding the ‘pro- Israel’ bias of this documentary, screened on Foreign Correspondent in early September under the title ‘Collision Course’, I have so far failed to get a satisfactory response, so I am now seeking your judgement on the matter. I enclose a copy of this correspondence, which includes my original complaint on a webform, and my detailed response to the reply by Lauren Crozier. Finally there is a very brief, and quite unsatisfactory response to this from Kieran Doyle (which incidentally also comments on complaints I have made about reporting on the I-P conflict by correspondent Anne Barker). 1. The Mavi Marmara was in international waters between Cyprus and Lebanon when it was boarded. 2. The ships in the flotilla were carrying humanitarian aid to Gaza and 600 odd civilians from 40 countries. The flotilla was organised by the Turkish charity IHH as part of the ongoing campaign by supporters of Palestinian human rights and justice to break the blockade of Gaza which Israel continues to illegally enforce. 3. Following requests for the Mavi Marmara to stop, Israeli commandos launched an armed assault from launches and helicopters and took control of the ship – an act of piracy. 4. Despite the civilians on board having no firearms and offering little resistance, the commandos fired 308 live rounds, which killed nine people and injured 24 directly. Major Gabi Ashkenazi testified at a recent Israeli inquiry that 70 of these live rounds were ‘fired with intent to injure’ while the other 238 were ‘warning shots’. 5. The recent UNHRC inquiry into the events found that 4 or 5 of the Turkish civilians killed appeared to have been ‘summarily executed’, with 30 bullets found in the bodies of the nine dead. Turkey has taken out proceedings with the International Criminal Court on behalf of the relatives of the victims. This inquiry also ruled that the assault by Israel was clearly in breach of international law and might constitute a war crime, claims rejected by Israel and the US. When ‘Death on the Med’ was screened by the BBC Panorama program in August it received howls of protest from many quarters. Israel’s attack on the flotilla was widely seen as illegal and brutal at the time, and was a major challenge for Israel’s PR, already suffering after the assassination of Mahmoud al Mabhouh in Dubai by Mossad agents using forged and stolen passports, including those of Australians. ‘Age’ correspondent Paul McGeogh was one of the journalists who had joined the Flotilla, and while not on the Mavi Marmara, suffered some abuse from Israeli forces when ‘kidnapped’ as well as when held in detention in Ashdod. His partner was hit with a taser and had her photographic equipment seized. As the assault on Gaza by Israel was effectively condoned by the US and Europe, and these states then did nothing to help the devastated community recover, charities had to try to pick up the pieces. 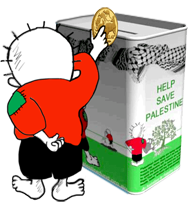 The amount they were able to collect however was significantly less than normal, thanks to the BBC’s refusal to broadcast this appeal for Gaza. While the explanation for this unprecendented callousness is far from simple, the influence of the Israel lobby in the UK was surely a part of it. (3) In the light of this demonstration of support for Israel, or possibly of fear of the consequences of opposing it, it is no surprise that the BBC now finds ‘Death on the Med’ suitable for broadcast, and has failed to air contrary viewpoints. Doyle’s addition of the two words ‘to act’ may seem trivial, but in fact is symptomatic of his own distinct pro-Israel bias. He implies that there is widespread agreement that Israel’s blockade should cease – as he suggests earlier, whereas the gist of Corbin’s presentation is that ‘political’ pressure is being applied by Turkey and ‘Islamists’ who support Hamas and want to see Israel constrained for political reasons unrelated to Israel’s behaviour. Neither view reflects the reality as I see it. The objectives of the Free Gaza movement are simply that, whether they are achieved by putting pressure on Israel directly or through the International community, and are to make Israel abide by UN resolutions and international laws. For the average uninformed viewer this statement seems uncontroversial, but it is a highly misleading fabrication. There is simply no dispute over ‘who shot first’, as the people on the Mavi Marmara did not have any firearms. The Israeli commandos however had launched an uninvited aggressive attack on these ordinary civilians, using paintball guns at close range and then lethal firearms rather than stun grenades tear gas or rubber bullets, which are the IDF’s usual methods of crowd control. It could be argued, and it certainly appears that way to me, that Israel had planned for this attack to be violent and lethal, and intended to control the international repercussions by seizing the cameras and jamming the broadcasts of the activists. This is what happened, and Corbin’s film is witness to it – the viewpoint from the Mavi Marmara has been effectively concealed, with the only footage available that which Israel considered suitable for release. In pursuit of this ‘case’ Israel also refused to allow the UNHRC inquiry access to its commandos, claiming that this reputable body seeks to delegitimise it. Predictably, the US has rejected the findings of the inquiry, in line with its unshakeable support for Israel and its Zionist project. A serious and disturbing insight into US support for Israel’s settlement building and occupation of Palestinian land and the almost farcical ‘peace process’ was recently provided by Nathan Thrall writing in the New York Review of Books. 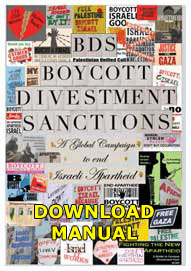 (4) In ‘Our man in Palestine’, he details how the US has effectively conspired with Israel to change the political landscape in the Occupied West Bank, by training forces of ‘New Palestinians’ under General Keith Dayton, who cooperate closely with Israeli forces and police to suppress Palestinian rights and democracy and enable the settlement project to proceed smoothly. In a bizarre replay of history, Mahmoud Abbas and Salam Fayyad have become an equivalent of the Vichy government for Palestine, as they facilitate the new ‘Jewish and democratic state’ that Israel pretends to be. A fool can see that the reality is the antithesis of democracy, as racist behaviour is rewarded and new Apartheid laws passed. But to my complaint. Initially I have a problem with ABC Audience and Consumer Affairs. On a number of occasions Kieran Doyle has responded to my criticisms in detail, but always in a way that demonstrates his personal bias. The response he offered me this time was insubstantial to say the least, but he had recently responded to a letter from Dr Vacy Vlazna on the same subject, and the style and tone of his letter to her confirms my view. He both misrepresents and seems to take offence at the remarks of Dr Vlazna, whose viewpoint I certainly share and for good reason. Doyle claims that discussion of the blockade of Gaza is not relevant to the film, yet this is one of the clear examples of the film’s bias. It is self evident that the illegality of the blockade is central to the story, and the confinement of one and a half million people in Gaza – which constitutes a war crime under the Geneva Conventions – cannot be dismissed casually as a reasonable response to the rocket fire into Israel. In her little trip around Gaza, Corbin shows us only what she wants. We do not see the thousands of destroyed buildings, the wrecked sewage works, or the border with Israel where boys collecting rubble to sell were recently shot by the IDF, for sport it seems. We do not get special access to Israeli navy boats as they harass Gaza fishermen by shooting at them. I also note with concern that the letter I received from Lauren Crozier, which referred to the ‘scrupulous balance’ shown by the film, formed the first part of the letter that Dr Vlazna received despite hers being signed by Kieran Doyle. As this claim of balance is evidently ludicrous, it is pertinent to ask to whom the opinions expressed in ‘our’ letters may be attributed. Am I to understand that these opinions actually represent policy? Does this mean that the ABC condones Israel’s wilful disregard for international law? That it considers that there can be debate over the reasonable use of summary execution? That it condones the continuing construction of the ‘security barrier’ in the Occupied West Bank, ruled illegal by the International Court? Or that it considers the isolation of the democratically elected Hamas government by the US and Europe legitimate? All these ‘positions’, which are those taken by the Murdoch press, and sadly indeed by both houses of Parliament, follow naturally from the ABC’s opinion on this documentary. In a simple example of the ABC’s position on settlements in the illegally occupied West Bank, a recent report by Anne Barker interviewed a Palestinian farmer and Jewish settlers living close by on stolen land. Quite disingenuously I think, she presented this as a case of two sides arguing the case over who had the greater right to the land, which is the viewpoint that Israel wishes us to share. But this is no different from the case above of ‘who shot first’ – all the settlements in the West Bank have been constructed illegally since Israel occupied the land in 1967. UN resolution 242 demanded that Israel cease the occupation, and the Geneva Conventions forbid states to settle their citizens on such land. 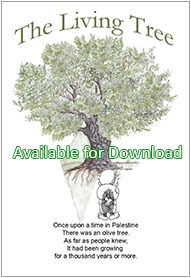 In my complaint to the ABC on this report, included in the recent correspondence, my suggestion that Anne Barker should have told the Palestinian that he did not need to find Land Titles to prove his ownership was dismissed as unreasonable. Perhaps I should have said that she should have told US he had no need of titles, as it is we who need to know. As long as reports from the Middle East continue in this vein the ABC is complicit in Israel’s continuing abuse of Palestinian rights – the right to equal treatment as citizens, the right of return of refugees, and the right to self determination and self defence in a properly constituted state with free access to the outside world.